Here is a little something I have been working on for a while and finally decided to finish. 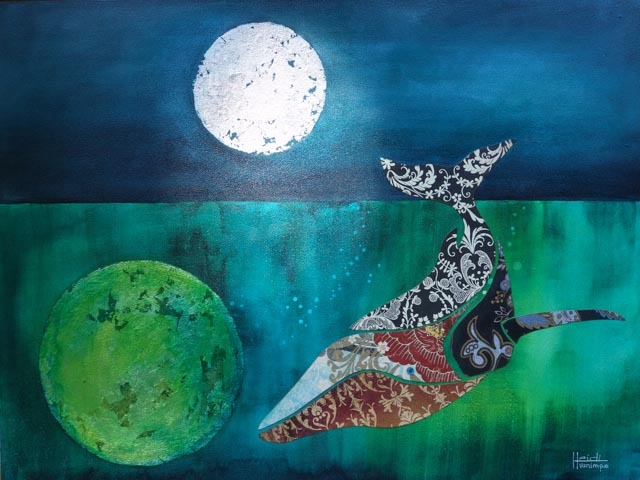 It is part of the animal totem collection but painted on wood panels with collage. Usually I do my collages just straight paper on paper. I thought I would do some mixed media to see if I like it. I think I do. It allows me to go larger than the smaller collage pieces. I love how the light caught the silver moon...exactly what I wanted. And soon, it is time for the whale to push up the sun and begin a new day.